When I started writing my weekly blog posts, it was mostly to try and capture all those in-between things that I experience; things that I’d otherwise neglect to share apart from the odd moment on Instagram here and there. But what I’ve realised is that for me, it’s more than that. It’s helping me to take stock of my Life Balance, and it’s allowing me to see in black and white that I DO do nice things and I DO have some energy and make an effort sometimes. Since having a baby two years ago and being physically exhausted a lot of the time and emotionally all over the place with depression and anxiety I’ve missed out on so much. These days I’m all about trying to make up for that and enjoy my own life and my time with my toddler. Whilst catching up I’ve tried to go to a lot of independent bars and restaurants that have opened while I’ve been a hermit. And because there’s only so many hours in a day and I’m not made of money, I’ve found myself avoiding some of the places I used to go like Pizza Express or a cup of tea at John Lewis in favour of indies. In fact, I can’t remember the last time I ate out at Liverpool One, the glossy shopping area in the city. 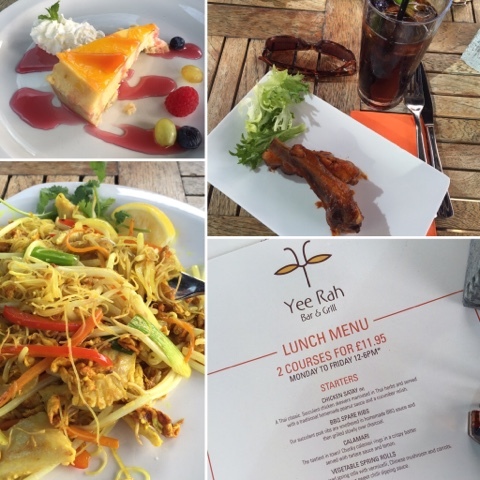 So it was almost like being on holiday having lunch in the sun at Yee Rah, a fab Thai-fusion bar and grill. The chicken satay and rib starters were out of this world, and the vermicelli was perfectly cooked and really tasty although I’d prefer it a bit spicier. 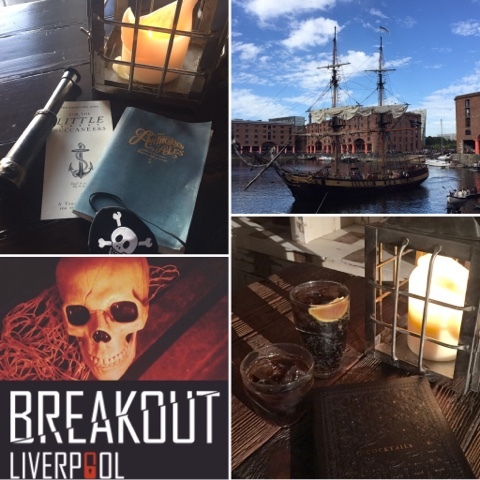 With all the excitement of the Pirate Festival weekend and especially my visit to Breakout Liverpool to escape from their Shipwrecked room, I’ve become aware that I haven’t been relaxing as much as I’d like. My sleep is a bit rubbish and I don’t have much chance for a bubble bath or going for a massage. So I need to work on making time for putting my phone to one side and doing some mindfulness or relaxation techniques. Primo is back at nursery, and after a wobbly start where I tried to take him back on the wrong day and there was much wailing and gnashing of teeth outside the locked gates (from him, I might add, not me) he finally settled back in on the right day, giving me a bit more time to work on the blog and generally avoid housework. On our day off together we went to visit a new baby which of course made me feel very broody and I often wonder whether I could do it all better second time round, or at least cope a bit better. I might never know, so the best thing to do is to concentrate on life with my little one in the here and now, before he starts school full time and we have fewer opportunities for adventures.